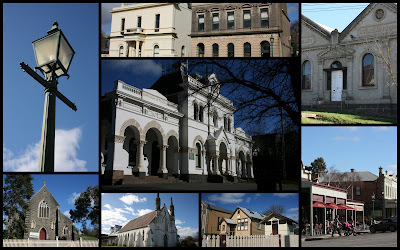 Last week while in Daylesford I took myself on a little road trip. 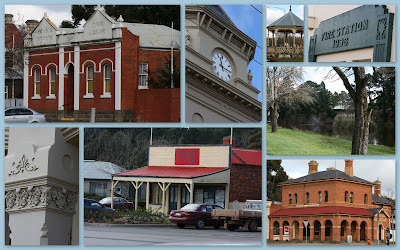 First stop was Creswick - I haven't been to this little town for years. When my son Shane was at Melbourne University doing Forestry he lived in Creswick as this is where their Forestry Campus is. Creswick was built on the proceeds of rich gold deposits mined from the 1850's, Creswick today proudly displays fine examples of the grand architecture so reminiscent of the era. A stroll down the main street will reveal a number of historic buildings including the former State Savings Bank, Post Office, Library, and Havilah Masonic Lodge. Talbot was originally first born for servicing a mining population of over 15,000 during the 1850s, today only a few hundred people live in Talbot. The town retains a number of historic buildings from its prosperous gold mining days which can be observed by taking a stroll along Scandinavian Crescent in the heart of the town. 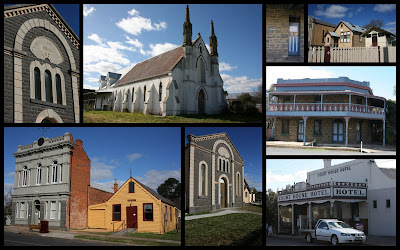 Clunes was the site of Victoria's first gold strike. It is located in a steep valley surrounded by rounded hills, which are actually extinct volcanoes (they can be best seen 3 km south along the road to Ballarat). 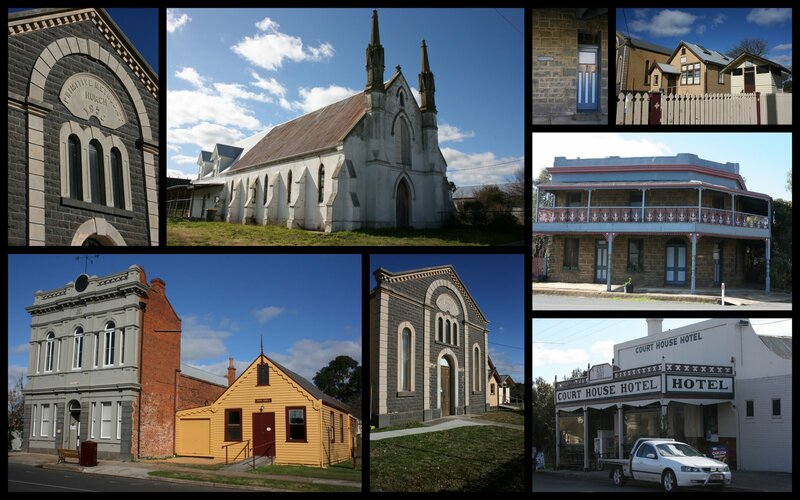 Clunes is one of the most intact 19th-century towns in the Central Goldfields, boasting numerous bluestone and brick buildings. Fraser St, the commercial centre, is wide and elegant, full of 19th-century shops with original store-fronts and distinctive verandas. Fraser St has been the setting for many films including 'Mad Max' and 'Ned Kelly'. The Djadja Wurrung people were the first inhabitants and these people occupied most of central Victoria. The words Djadja Wurrung defines the name of the tribe and the language they spoke. It is a combination of 'djadja' (yes) and 'wurrung' (speech). Being called the "yes people" suggests that the tribe were considered to be a friendly group of people. 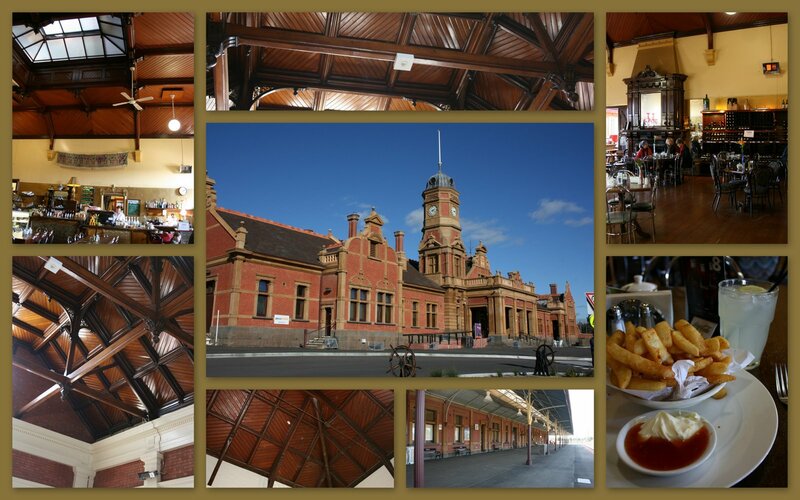 When Mark Twain visited Maryborough in the 1890s he described it as 'a railway station with a town attached'. 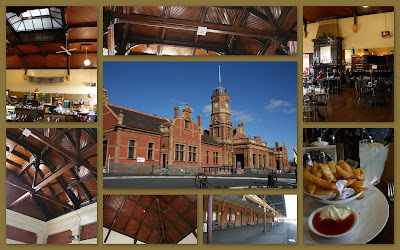 The Maryborough Railway Station is a really a wonder to behold. It is huge and gracious: a vast 25-room edifice which is surely Maryborough's finest building. Erected in 1890, it is a red-brick structure with plenty of stucco trimming for contrast. Highlights include the ornate clock tower, Flemish gables, massive portico, marble dressing tables in the women's toilets, some attractive wrought-iron work on the veranda, oak wall panels and the longest platform in Country Victoria. I love the train station, it's stunning. Sounds like an interesting trip. I'm fascinated by the fact that there are the amazing buildings in Creswick and there's hardly anybody there to appreciate or utilize them, pity. Very nice pictures, looks like you had fun. This is so easy to send to you I can"t believe it !!!!!!! !